Musing: Let's catch up at BEA 2015! Plus BEA-week break. 1. If you're going to be at the conference, hit me up! I'd love to meet you. Easiest way is email at the.winnower(at)gmail(dot)com. I shall be there until Saturday. 2. If you're wondering where all the posts are, they shall return when I do! This has been a crazy multi-conference week, so I'm taking a little break for the purposes of BEAing and general mental health. Posts will return to normal next week, probably with a lot of pictures and excitement. 3. I've been conferencing for academic purposes for a few days, so if you've sent me an email and you're wondering where I've been...that's where. Catch-up coming soon! 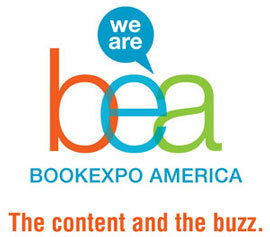 Hope to see you at BEA, or on the flipside on the bloggerverse! That would be lovely! As shall I. Enjoy it!